This walk to the village of Gittaz-Dessous is suited to all abilities. Starting from the Col des Etroits, it’s a chance to recharge your batteries in the heart of the mountain pastures, surrounded by the exceptional wildlife of the peaceful and secret Mont-des-Cerfs. This easy route starting from the Col des Etroits, a crossroads for many footpaths, takes walkers though the unspoilt forest and pastures of Mont-des-Cerfs. The view at the halfway point reveals the town of Sainte-Croix, the world capital of music boxes, and the mountains of the Alps. Stop off at the Gîte du Mont-des-Cerfs to savour some local products in the authentic setting of a working mountain pasture farm. 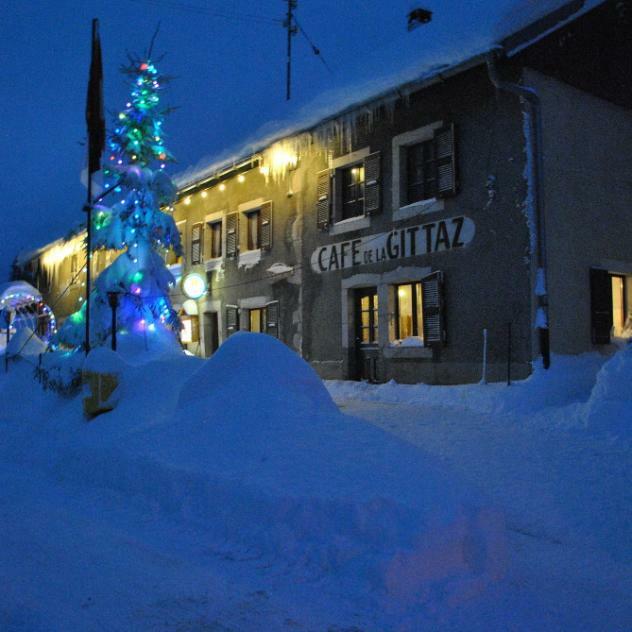 Then continue your walk between snow-covered pine trees and plains towards La Gittaz-Dessous, where the Restaurant La Gittaz offers a variety of brasserie style dishes. 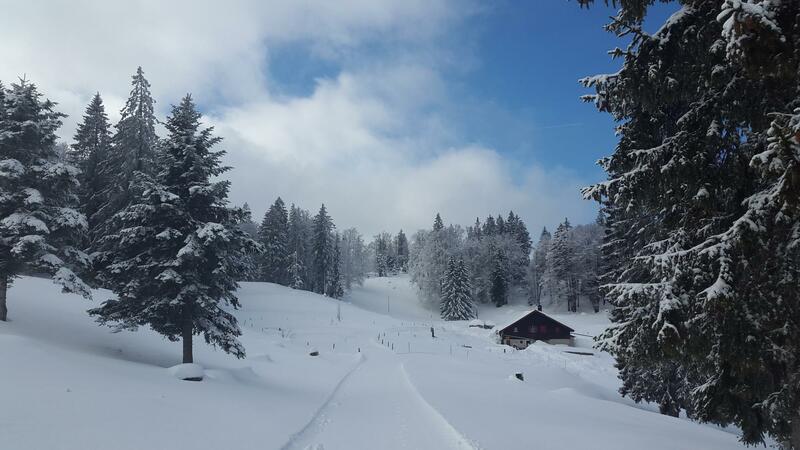 This there-and-back route in the heart of the Mont-des-Cerfs Nordic Centre, with its ambiance of the Great North, is a delight for walkers of all abilities. The route is marked with pink signs and posts (walkers-snowshoers). Please do not disturb the deer of which there are many on these snow-covered plains.